NATS, the UK’s leading provider of air traffic services, has today announced strong financial performance for the year to 31 March 2012. Revenue increased by £88 million to £865 million, while pre-tax profits rose by £89 million to £195 million. adopted new traffic forecasts thereby ending the sizeable under-recovery of revenue allowances in the previous year caused by the weak economic environment. Contract renewals and growth in NATS’ commercial business also contributed. Safety and Capacity: Safety is our first priority. NATS handled some 2.2 million flights (2011: 2.1 million) and for the fourth successive year achieved its target of no NATS attributable risk-bearing airprox, maintaining an already excellent safety record. Low levels of delay: NATS limited average delay per flight to 7.3 seconds – around one tenth of the European average – achieved while integrating major new technology. Saving fuel and CO2: NATS provided improved flight profiles to customers enabling savings of 25,000 tonnes of fuel worth c £17m, or the equivalent to 80,000 tonnes of CO2. During the year, NATS also delivered a number of major projects with minimal disruption to services. This included transitioning iFACTS, one of the most advanced controller decision support systems, into full operational service at Swanwick, requiring some 30,000 hours of training to 480 staff. The system brings improvements to both safety and capacity. This performance, supported by proactive communications, resulted in our best-ever customer satisfaction score with 81.1% of respondents satisfied or highly satisfied with the company’s service. Richard Deakin, Chief Executive, said: “We are acutely aware of the high cost to our airline customers of delay and flight inefficiency. This explains our focus on continuing to provide the highest standards of safety, environmental and service performance, cost-effectively. We believe this delivers the greatest economic value. “We are looking to find innovative solutions that add even more value in the future. For example, if we deliver on our CP3 flight efficiency targets, enabling our customers to save 600,000 tonnes of CO2, we will reduce their fuel bill by some £120m at today’s prices. consultancy contracts in the USA, the Middle East and Asia-Pacific. 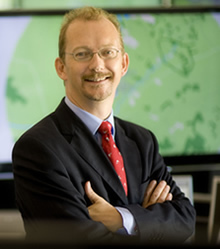 NATS’ expertise in information management, designing and managing complex airspace, and optimising runway capacity for customers, supports the world’s busiest single and dual runway airports at Gatwick and Heathrow and is now helping to win new business internationally in markets from the USA to India, and from the UAE to Singapore. Richard Deakin added: “We made excellent progress in generating business in new markets and, with a clear strategy and operating under the NATS brand, we have made a good start towards achieving our vision for 2015 of £1bn sustainable revenue.